Skye Gravestones | Neil & Mary Robertson, s. Charles. Neil & Mary Robertson, s. Charles. 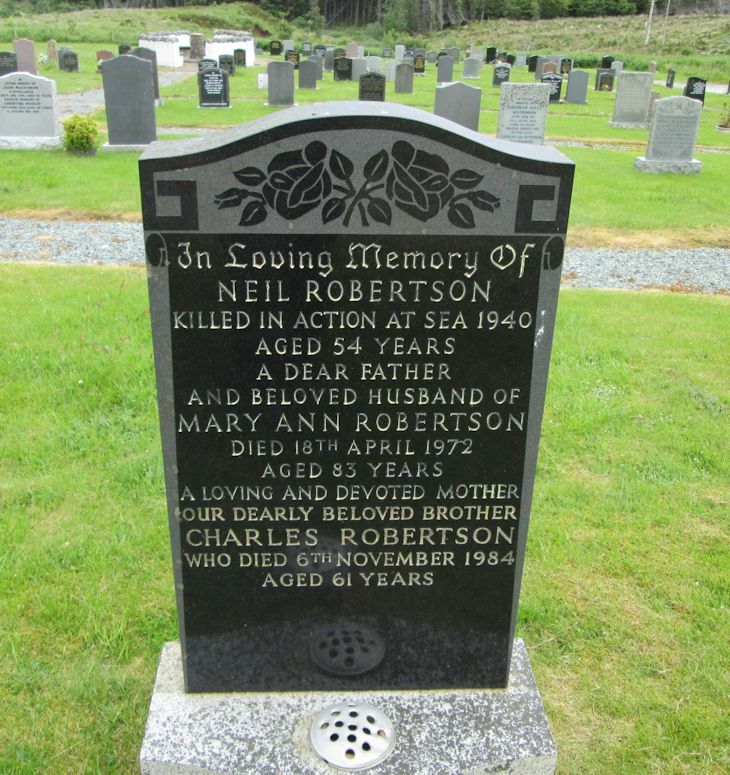 In loving memory of/NEIL ROBERTSON/killed in action at sea 1940/aged 54 years/a dear father/and beloved husband of/MARY ANN ROBERTSON/died 18th April 1972/aged 83 years/a loving and devoted mother/our dearly beloved brother/CHARLES ROBERTSON/who died 6th November 1984/aged 61 years.